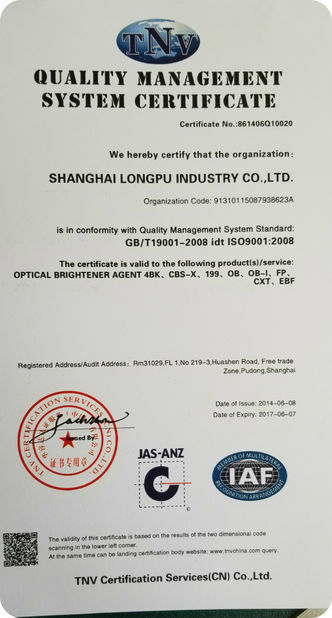 It is mainly applicable to whitening and brightening of polyester fiber and the blends, especially to whitening of polyester fiber knitting at low-temperature (95-100℃). Procedure: add additive, acetic acid (adjusting PH: 4.5-5.5) and BC-103 FWA into the dye bath according to the formula, raise temperature to 95-100℃ as the rate of 2-3℃/min, keep constant temperature for 30-40min → drop in temperature → washing → dehydration and drying (80-100℃), its whiteness can meet the user’s requirement. 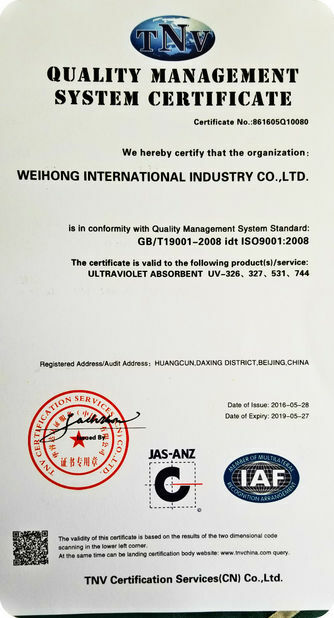 If the user has fixing machine, carry out pre-drying (80-100℃) and curing (170-175℃, 30-40s) after washing and dehydration, then whiteness will be better. 2. It shall be used within the yellowing spot range of this product, i.e. pad dyeing ≤5g/L, exhaust dyeing ≤0.8% (o.w.f). It will be subject to yellowing if beyond the dosage range. 5kg in plastic drum, 20kg/paper carton (4 drums). Quality guarantee period is 8-12 months under normal temperature.